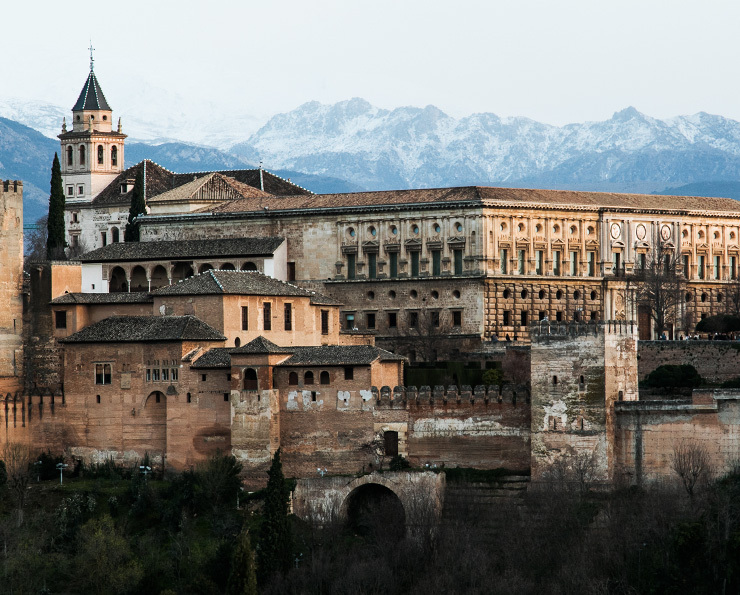 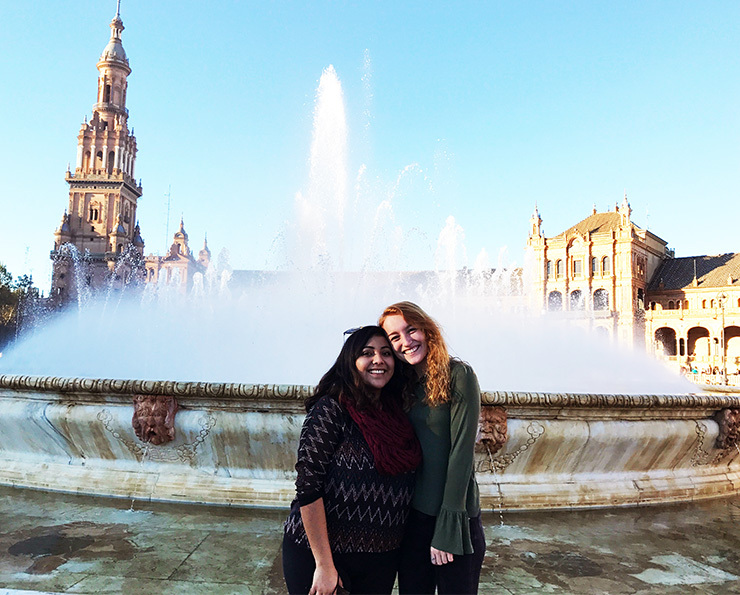 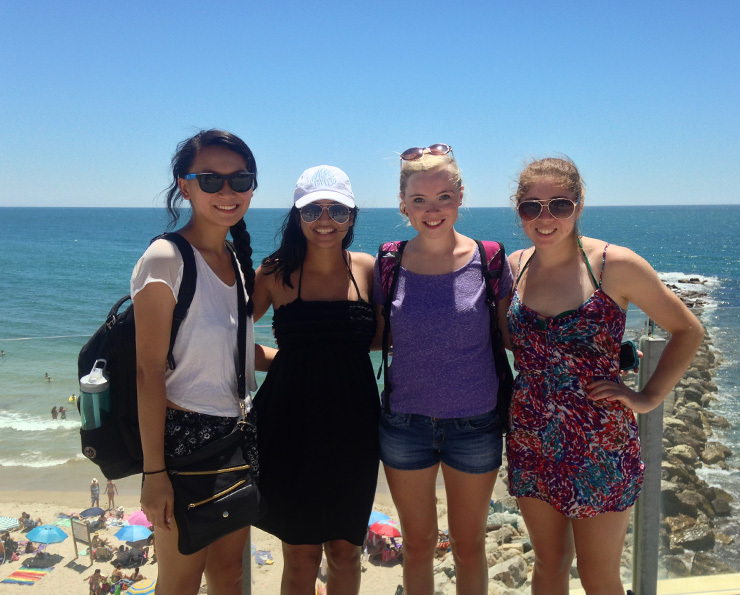 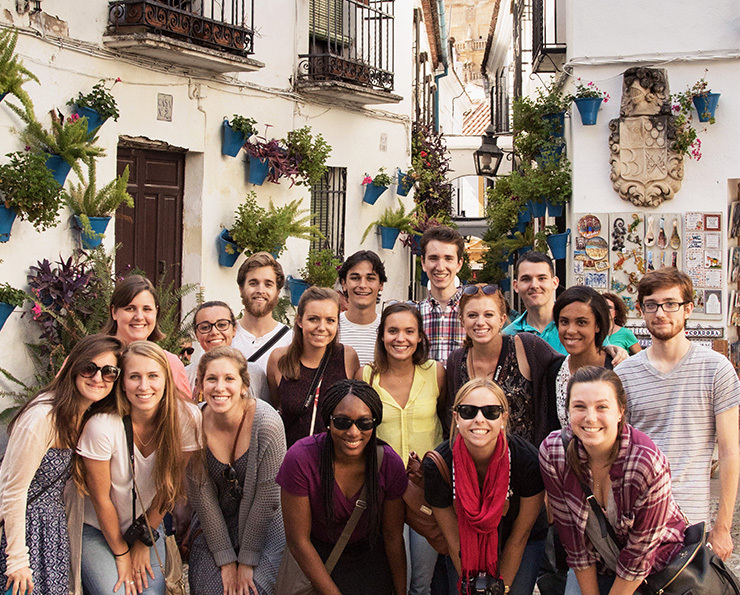 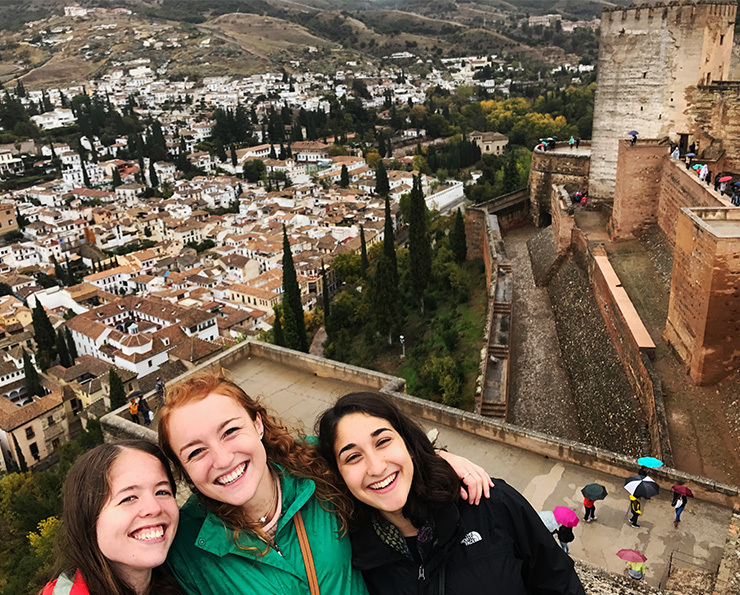 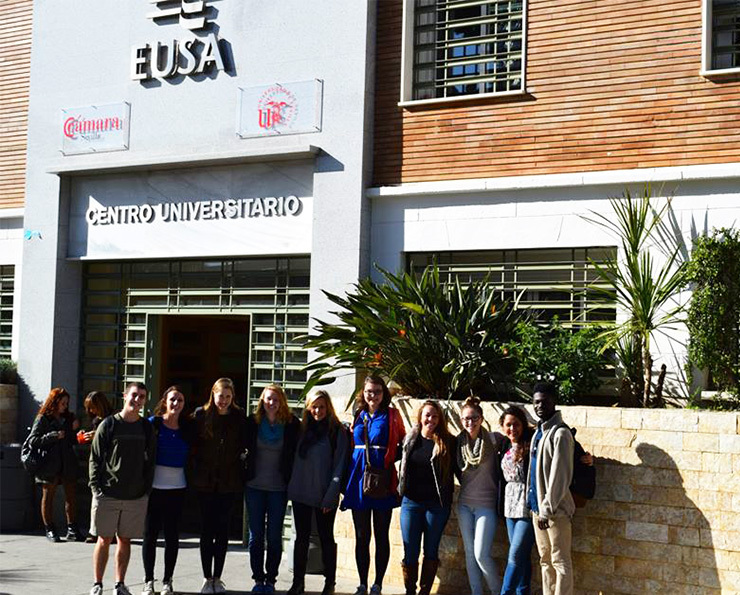 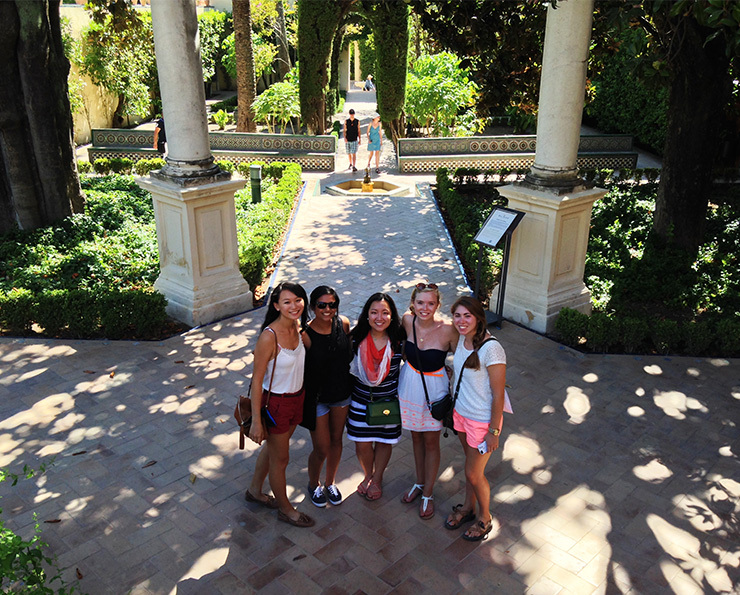 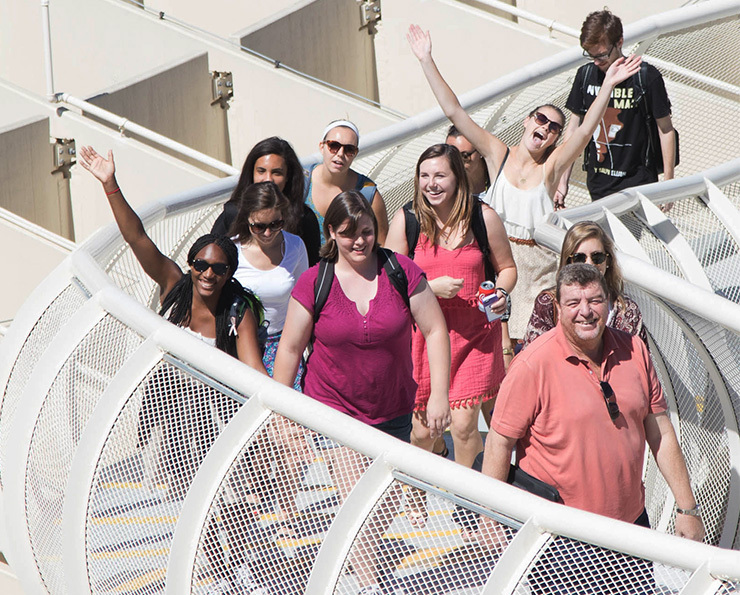 Why study in Sevilla this fall? 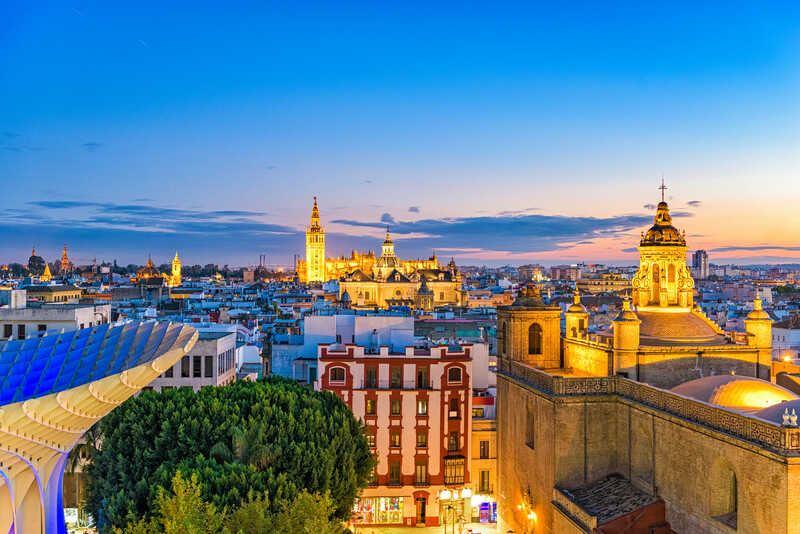 Once the sun sets, those hot days turn into beautiful nights spent outside in a restaurant’s patio or one of Sevilla’s countless plazas. 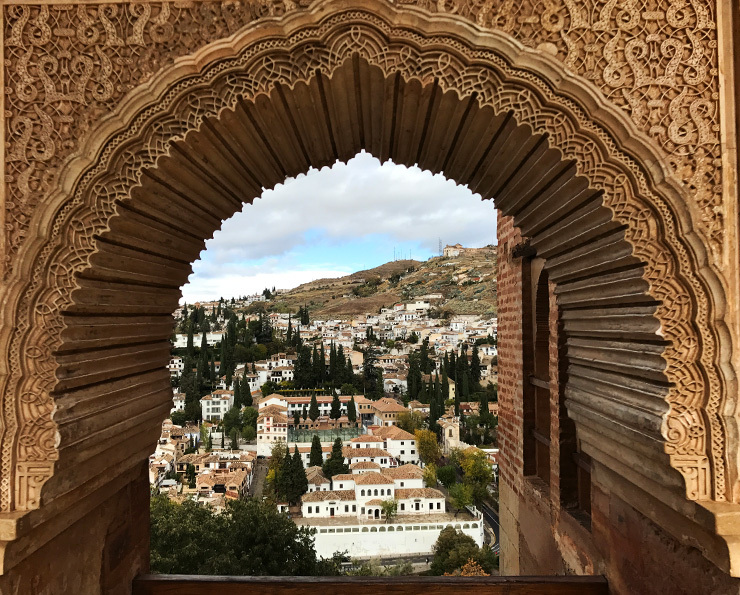 The season for La Liga, the premier soccer league of Spain and one of the most highly regarded in all of Europe, begins right around the time you arrive. 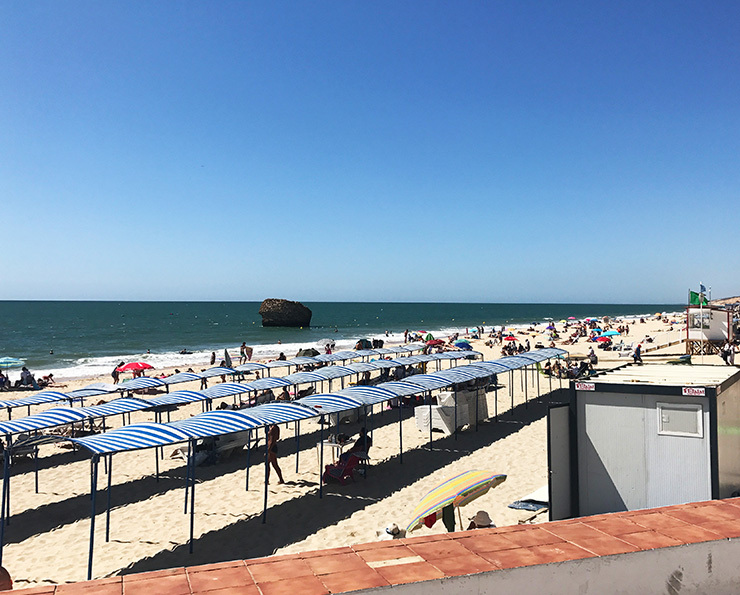 During the afternoon and evening restaurants, patios, and tapas bars fill up as people watch games. 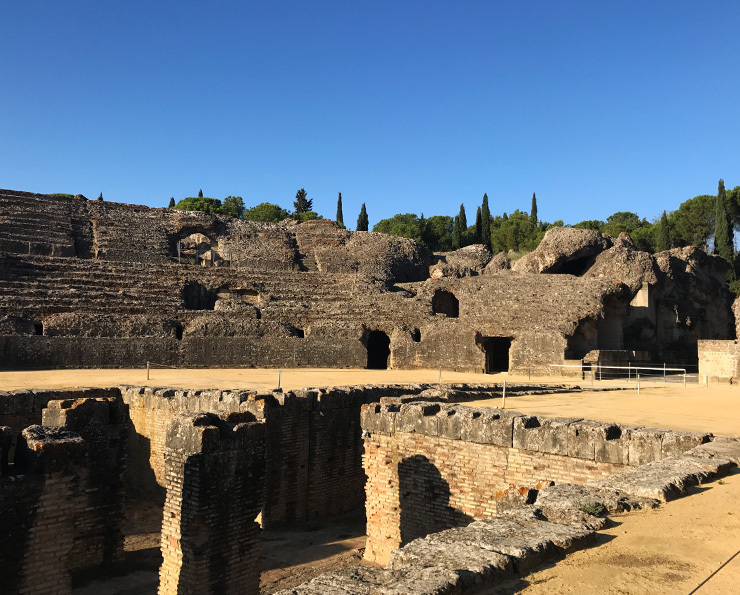 You will also have the option of attending home games for Sevilla’s two professional soccer teams, Real Betis Balompié and Sevilla Fútbol Club. 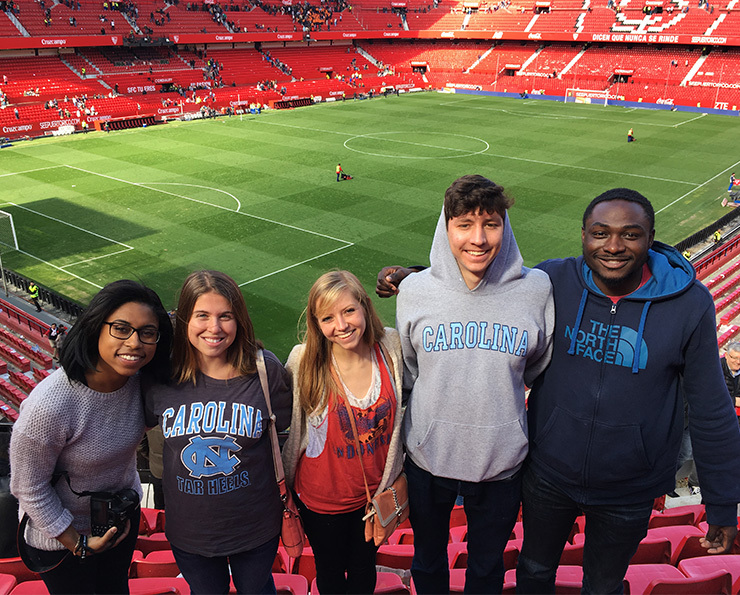 Whether you like soccer or not these games are always exciting cultural events. 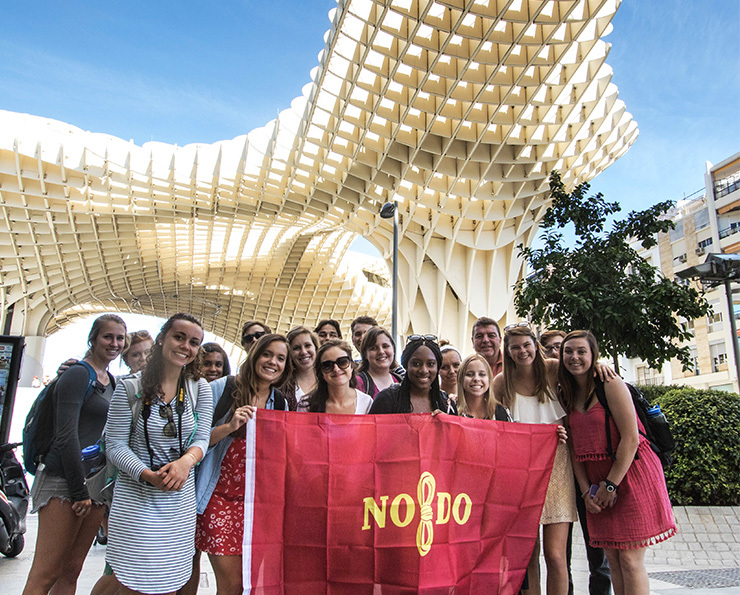 Beginning soon after students arrive in the city, Sevilla hosts a number of notable events that attract national and international attention. 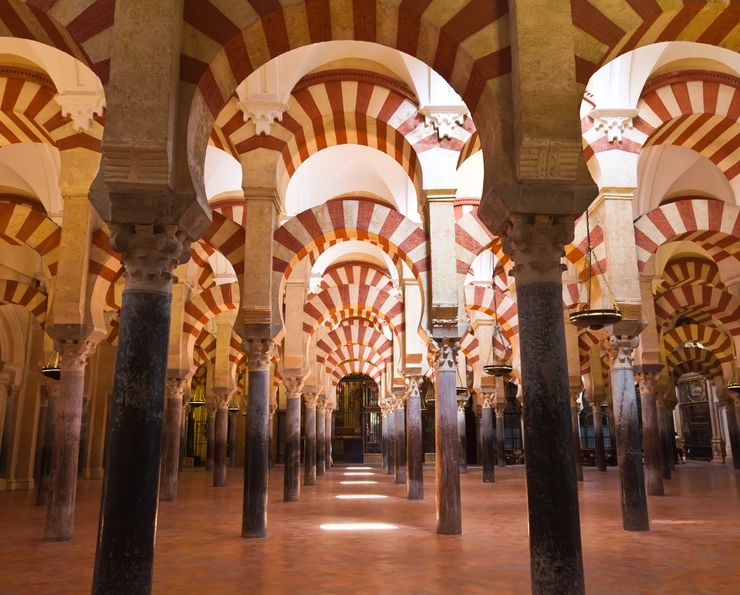 During the Bienal de Flamenco, which happens in September and October, flamenco spills out of the bars and theaters and into the city streets. 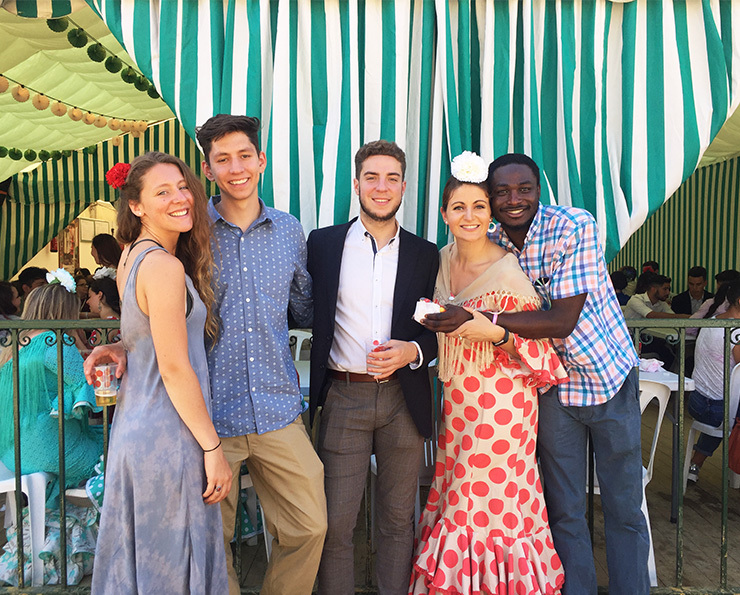 Events of all sorts highlight different aspects of this quintessential Spanish style of song, dance, and music. 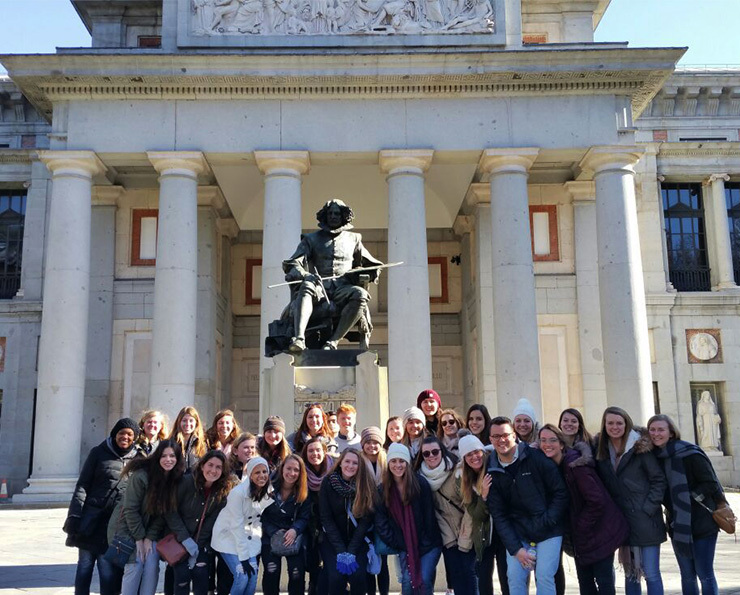 Then, from the end of September until the early days of November, the Prado de San Sebastian is taken over by the Festival de las Naciones. 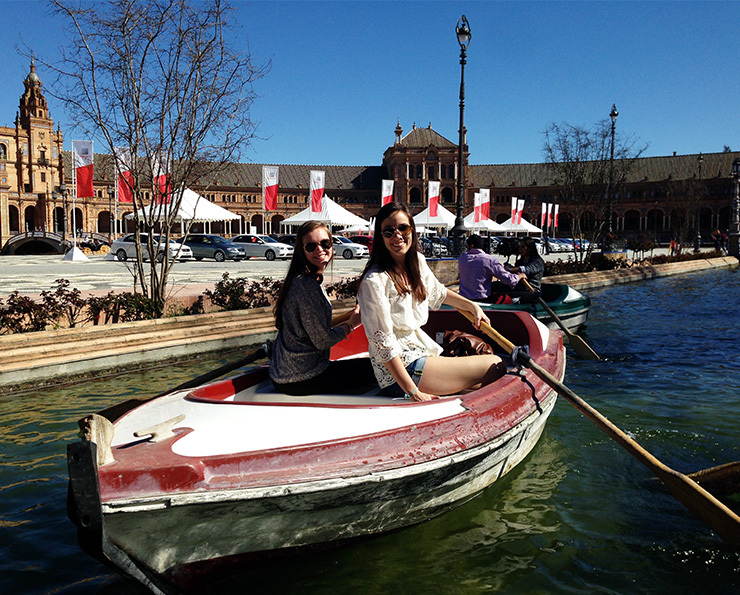 This six week fair brings music, food, drink, and wares from all over the world to Sevilla. 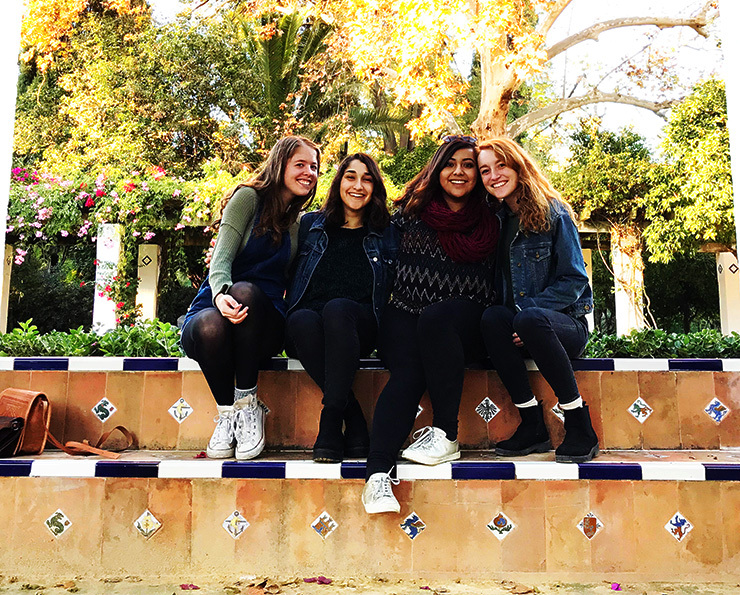 While the festival has a long daily schedule, be sure to check the extensive concert schedule so that you don’t miss any interesting singers or bands. 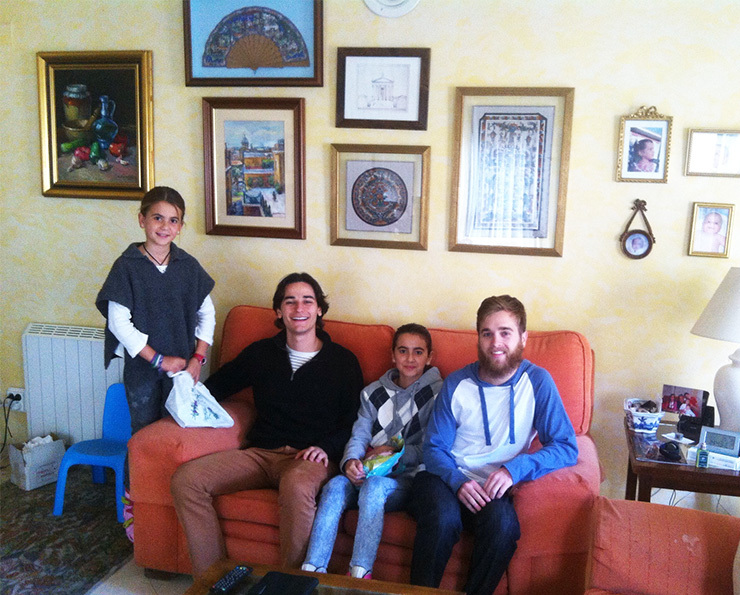 Then, as your time in Sevilla is coming to a close, you will witness the spectacle of the Christmas season. 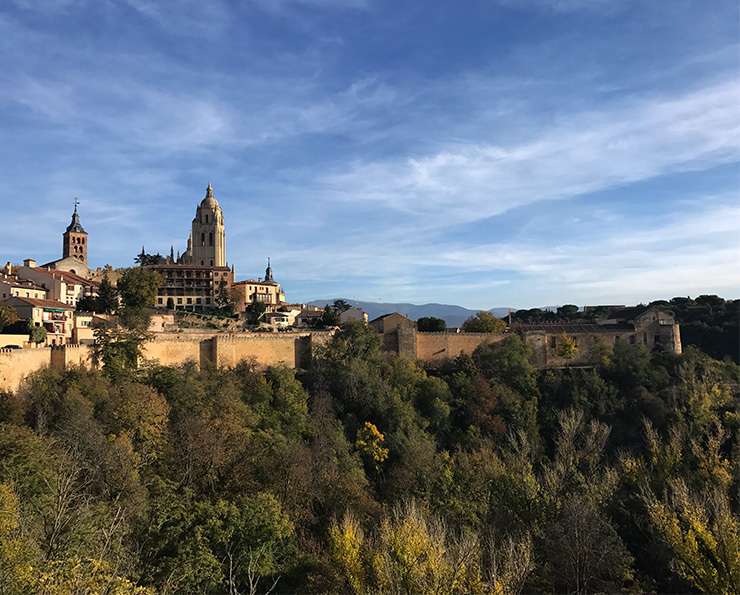 Both the city’s government and a large number of churches and convents ensure that December is filled with events like processions, visual art exhibitions, nativity scenes, winter sports, and musical performances. 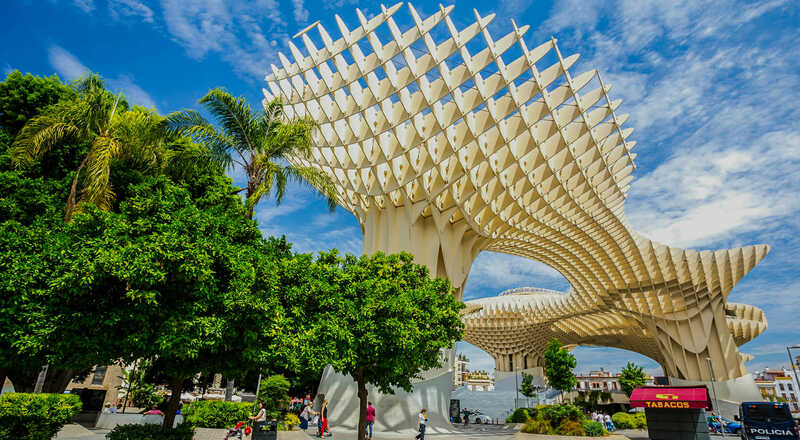 Additionally, all sorts of artists and vendors flock to Sevilla in order to cater to the large crowds. 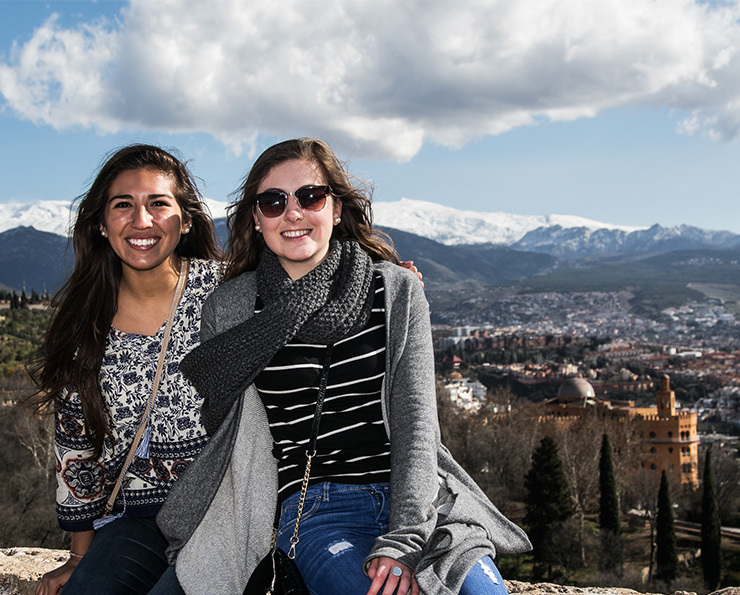 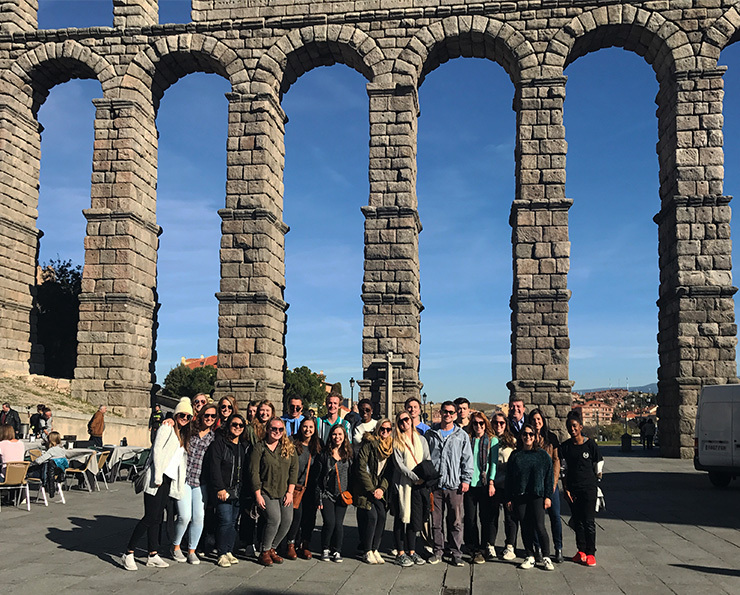 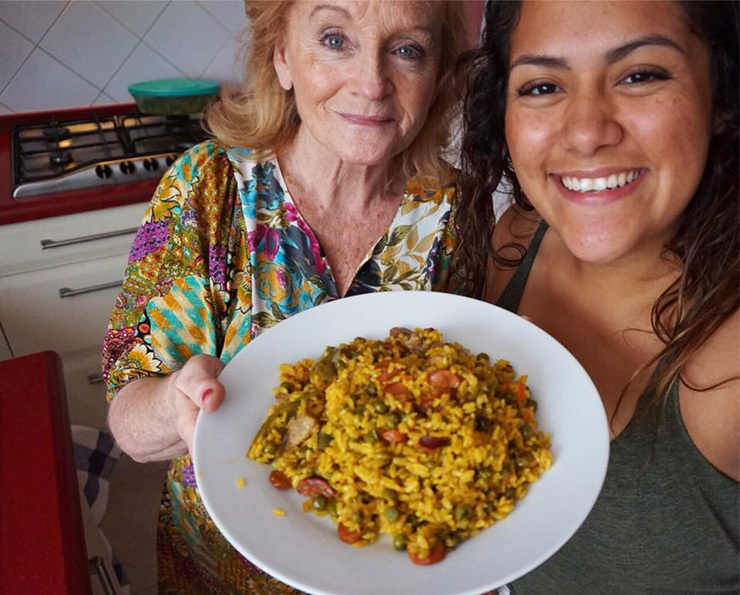 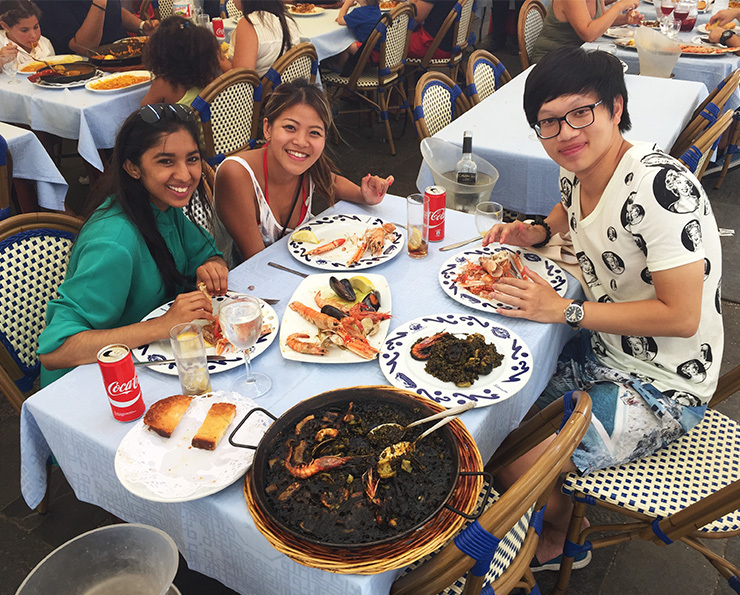 Events like these will help you make once-in-a-lifetime memories during your semester abroad in Sevilla! 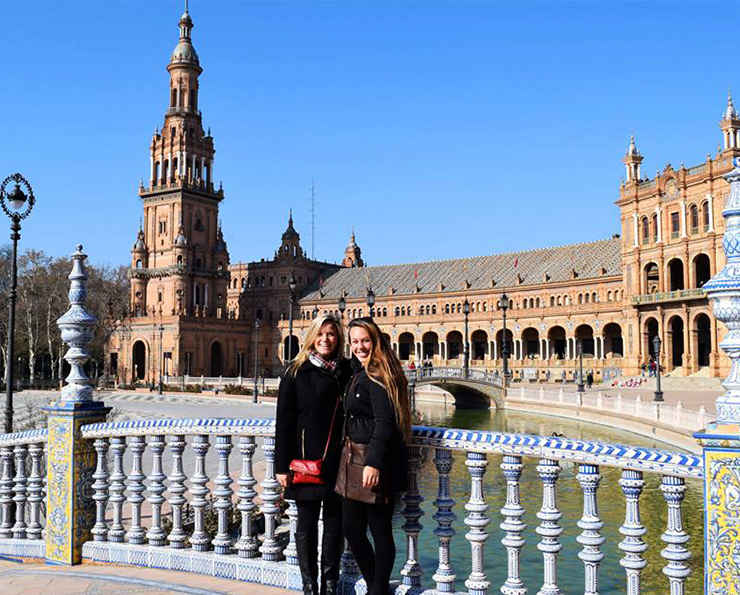 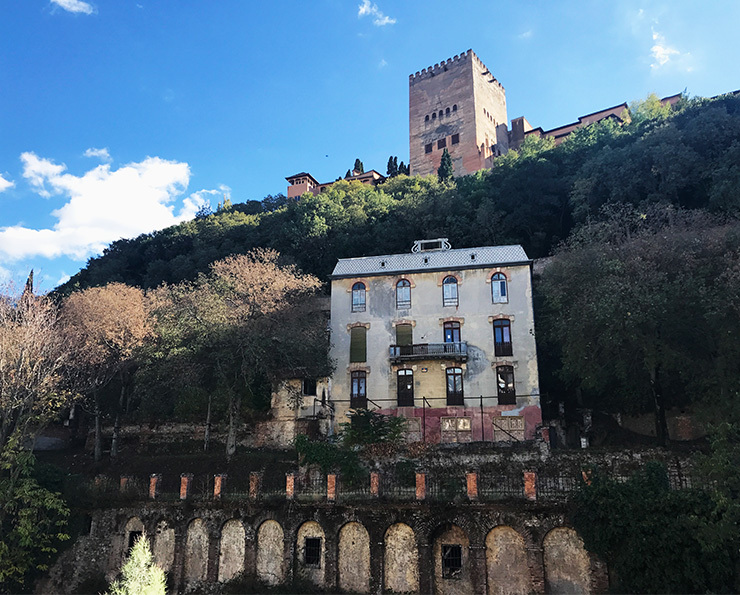 During your time in Seville, you will go on the following site visits and trips that highlight different facets of Andalusia and its history.